Above ground tanks only. For outdoor installation, the white cap MUST be sealed with Teflon tape to keep moisture out. Expect consumption readings to vary with temperature changes. The Smart Oil Gauge™ is the first connected home device of its kind that allows you to remotely monitor your home heating oil tank. 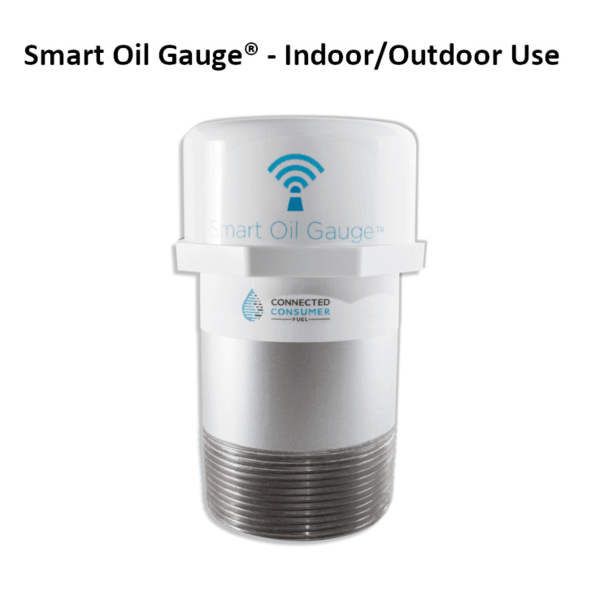 The Smart Oil Gauge uses an ultrasonic sensor to measure the level of oil in the tank throughout the day, and transmits this information over your home’s Wi-Fi network. 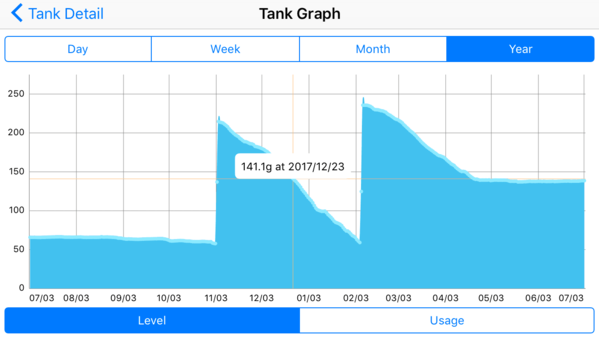 Check your tank level from any smartphone, tablet or PC – anywhere in the world. 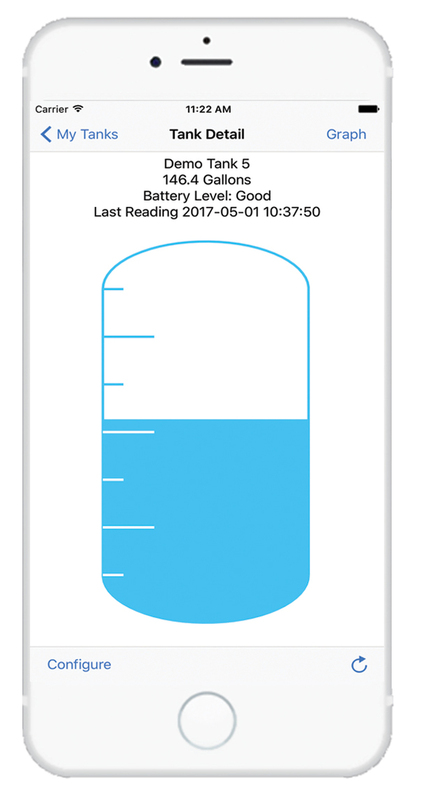 When the tank is low, the device will send text and e-mail alerts indicating that it’s time to order oil. REMOTE OIL TANK MONITORING: Check your heating oil tank from your smartphone – anytime, anywhere. Don’t worry about running to the basement to check your tank. Check your tank from work, vacation, or wherever you have internet access. Great for rental properties and hard to reach tanks. LOW-LEVEL ALERTS: No more middle-of-the-night runouts. Smart Oil Gauge will send you text and e-mail alerts when it’s time to order oil. 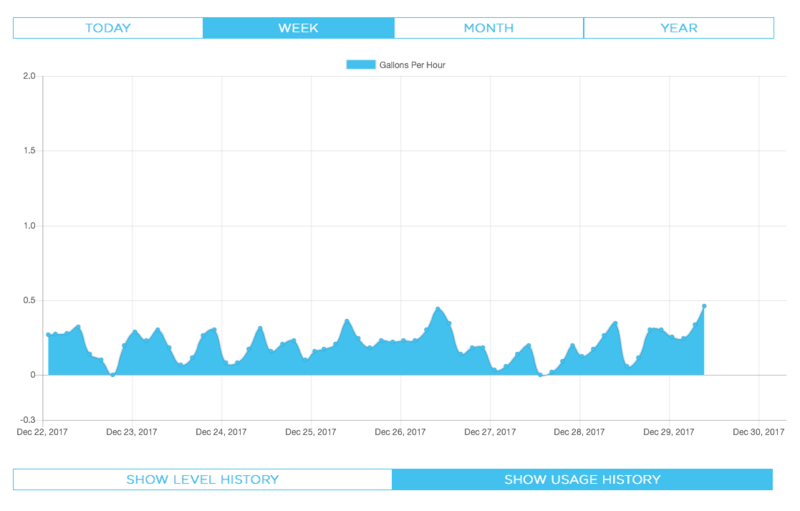 ENERGY EFFICIENCY: Track your heating oil usage by the hour. Watch how much oil you burn throughout the day, and adjust the thermostat to conserve fuel. Save money on heating oil by optimizing the thermostat settings. WORKS WITH MOST TANKS: Compatible with standard steel 138, 220, 240, 275, 330 (vertical or horizontal), 500 gallon tanks, and more. For twin tanks that drain together, just use one Smart Oil Gauge and choose this configuration in the app. Adapter available for Roth 400L, 620L, 1000L, and 1000LH. Adapter also available for tanks with 1.5 inch NPT fittings. Above-ground tanks only. ASSEMBLED IN THE USA: Designed and assembled in the USA. Precision-machined aluminum housing mates perfectly with your oil tank. 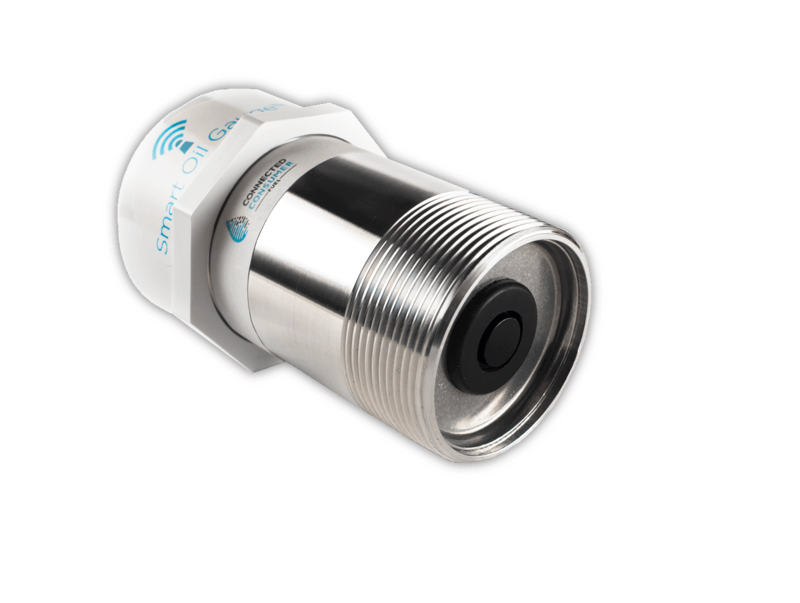 Ultrasonic sensor uses sound to detect the oil level, and will survive some oil being splashed on it.